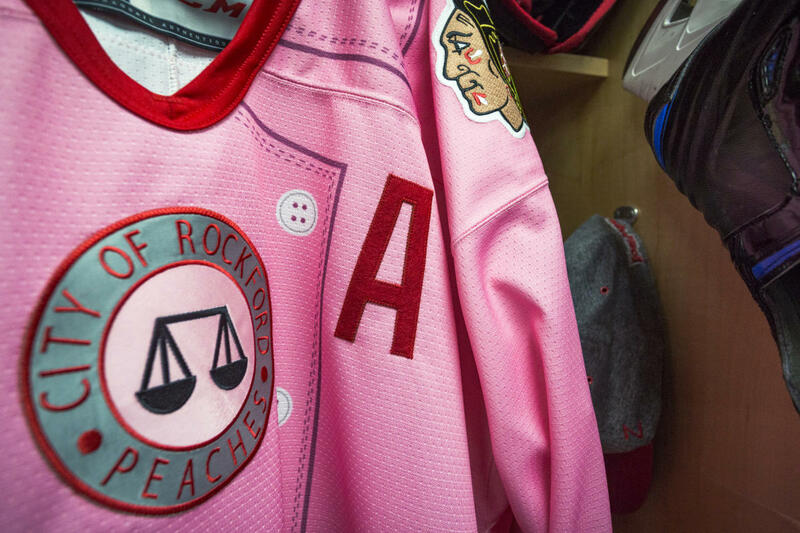 I first heard about Pink in the Rink Night sometime in mid-December, reading about how the team was going to pay homage to the Rockford Peaches by sporting some Peach-Inspired jerseys since it is their 75th anniversary this coming May. 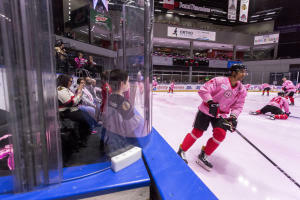 They were also auctioning off the jerseys and donate the proceeds to breast cancer research. 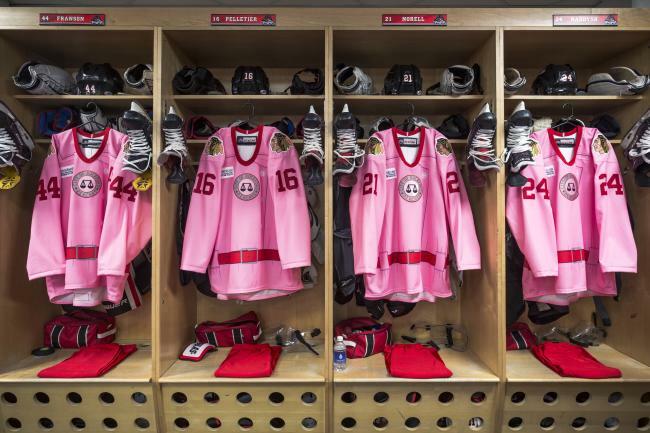 I thought that was awesome, but a few weeks after following the IceHogs, they released some graphics of the jerseys online and oh boy, did those gain some traction. They were shared by local media along with some national media outlets, and I immediately thought, "I have to shoot this game." In my opinion, these were incredible. They nailed the look, and I especially appreciated the belt designed onto it. The old city emblem on the chest piece also really showed some of the Rockford history on the jersey. 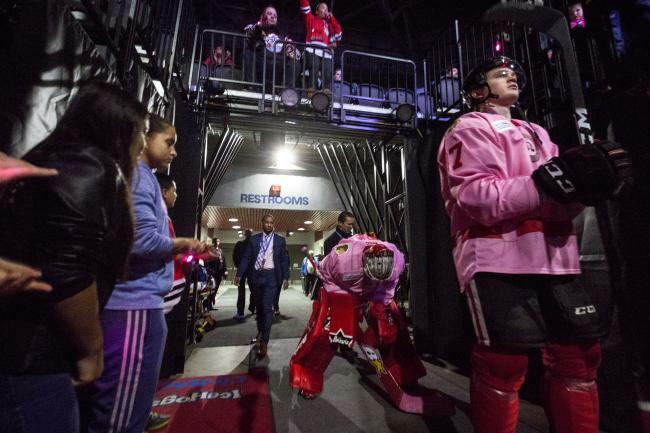 Seeing the players walk out from the locker room in these bright pink jerseys and stand in the tunnel before the game started was a very quiet moment. Before they go onto the ice at the start of a game, each player is blocking out everything that&apos;s happening around them, getting completely into a new mindset. 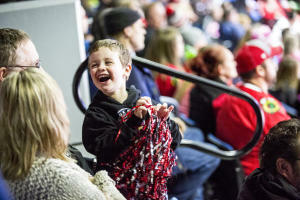 Everyone at the BMO Harris Bank Center loved the jerseys. Even during warm-ups I saw kids looking at them as some players flipped pucks over the glass to them. 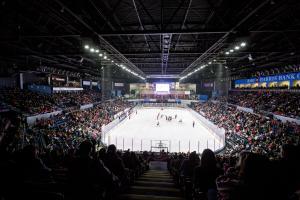 From the season ticket holders to people that were there for the first time, the arena was filled with people ecstatic to watch some hockey. Having a camera in front of my face during the entirety of a game or an event often draws the conclusion that I don&apos;t experience what it is like to be a regular spectator, but man...this game was something else. 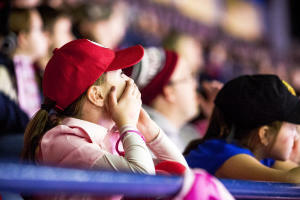 Ontario scored early in the first period, following another goal in the second period. 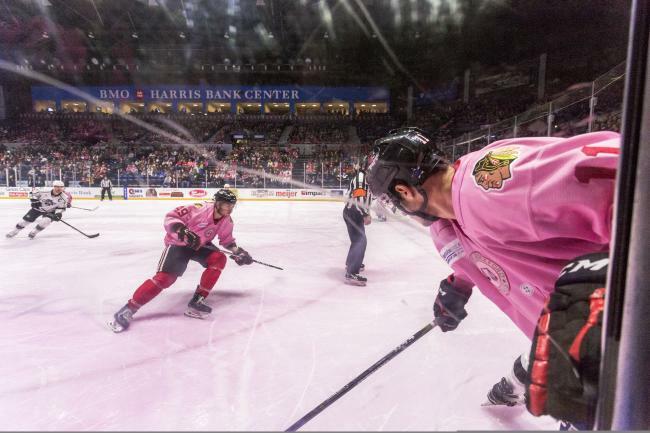 The IceHogs didn&apos;t get on the board until late in the second period. The third period felt like an eternity. While I was getting shots of the crowd, it was just an endless battle between the defenses on both teams. 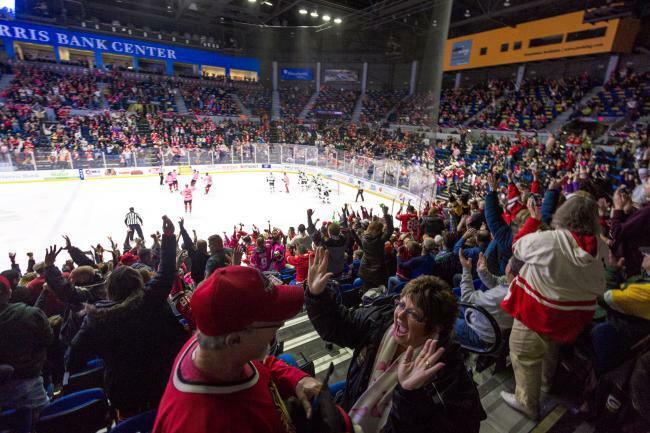 With less than 5 minutes left on the clock and Rockford still trailing 2-1, I made my way over to one of the walkways to position myself for a crowd-reaction-shot, hoping the Hogs would tie the game. The clock slowly ticked down to 2 minutes. At 1.5 minutes remaining, the &apos;Hogs pulled their goaltender Colin Delia to put an extra man out on the ice. 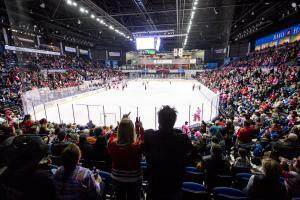 With 45 seconds left on the clock, I looked around the arena as everyone&apos;s eyes were glued to the ice. Ontario&apos;s defense was still putting up a fight. At 20 seconds remaining, the &apos;Hogs were fighting to get the puck in the net. 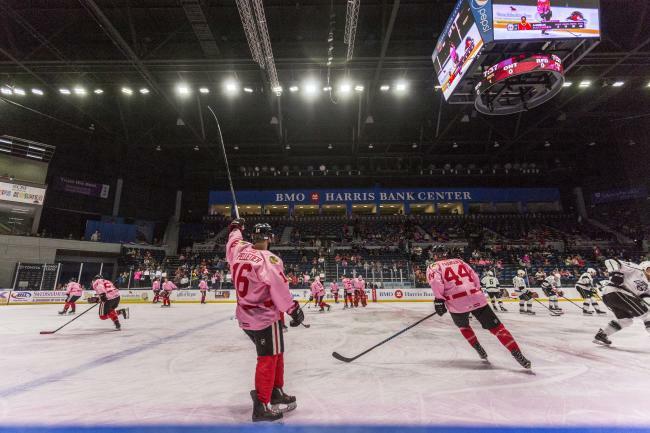 But at 15 seconds remaining in the game, IceHogs&apos; Ville Pokka took a strike and he scored, bringing the score 2-2 with 14 seconds left in the third period. The entire arena at that moment went insane. I&apos;ve never heard such a collective, joyous yell in the BMO Harris Bank Center. Even the security guard next to me couldn&apos;t believe what just happened! As the crowd was high-giving and hugging, they watched the clock tick down to zero. But the game wasn&apos;t over yet. Overtime started and both teams were hammering it out. 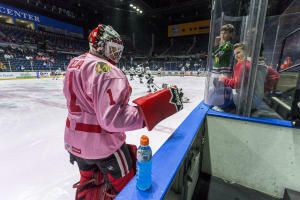 Rockford IceHogs goaltender Colin Delia made some incredible saves. 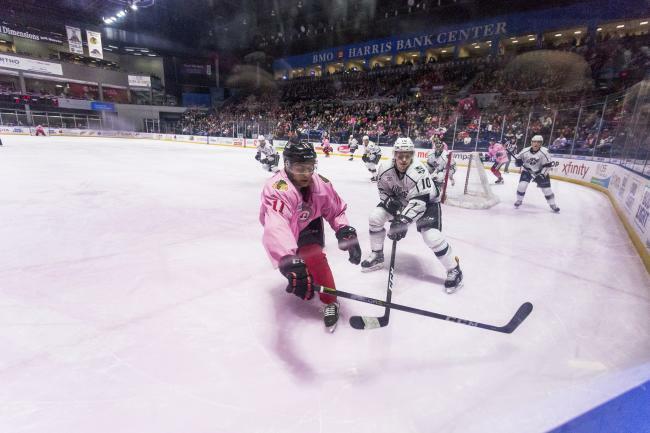 The &apos;Hogs made it across the red line near the end of overtime, and a pass was made to Luke Johnson who sniped a goal giving Rockford the win. You can go make your own experiences as well at one of these games! 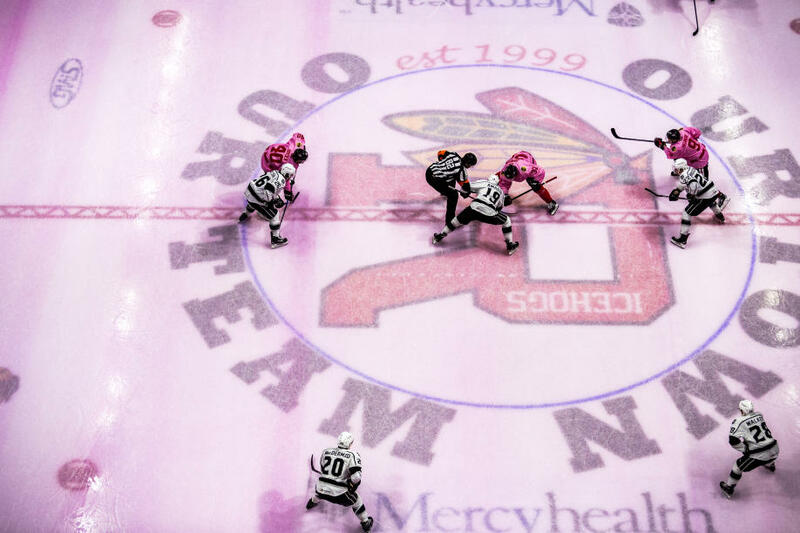 Be sure to come and see the IceHogs at one of their games, including on February 17 for Fred VanVleet bobblehead night!